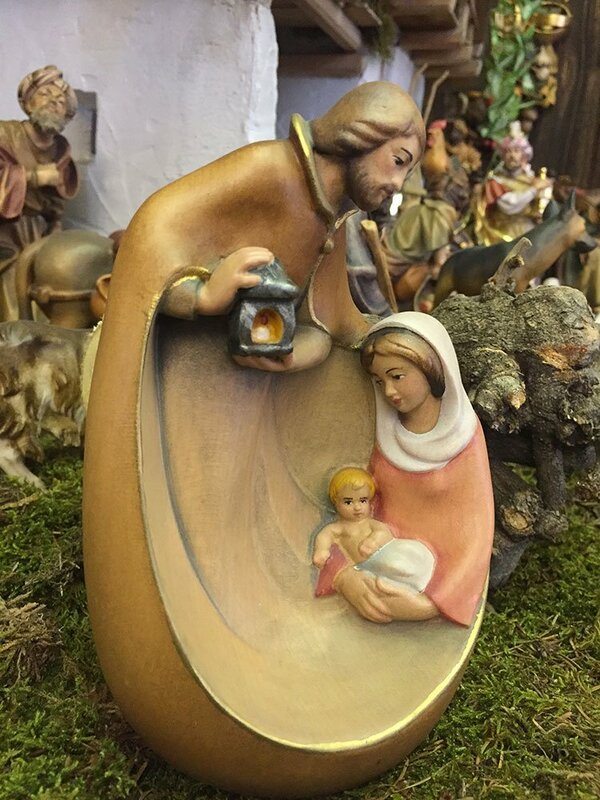 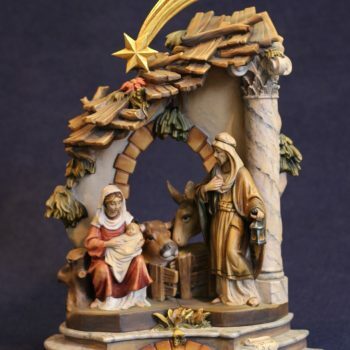 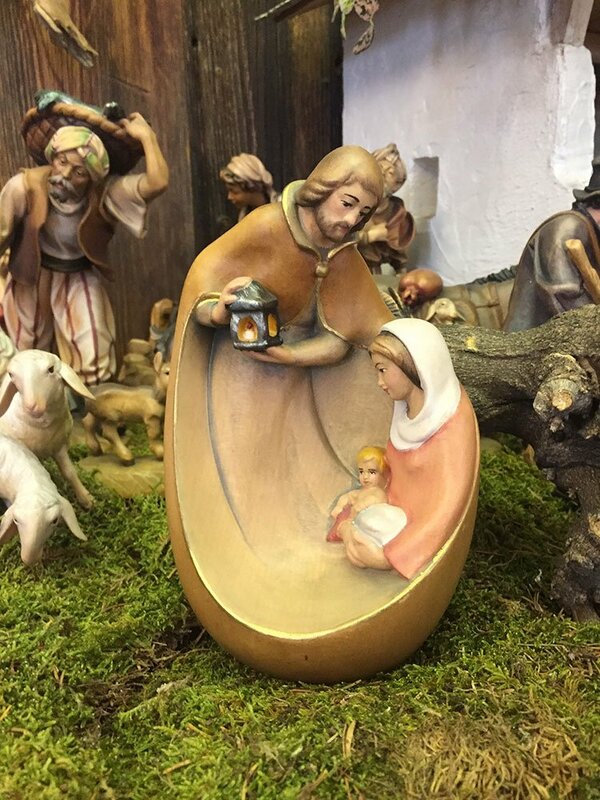 This nativity scene was created and produced by us since 1995. 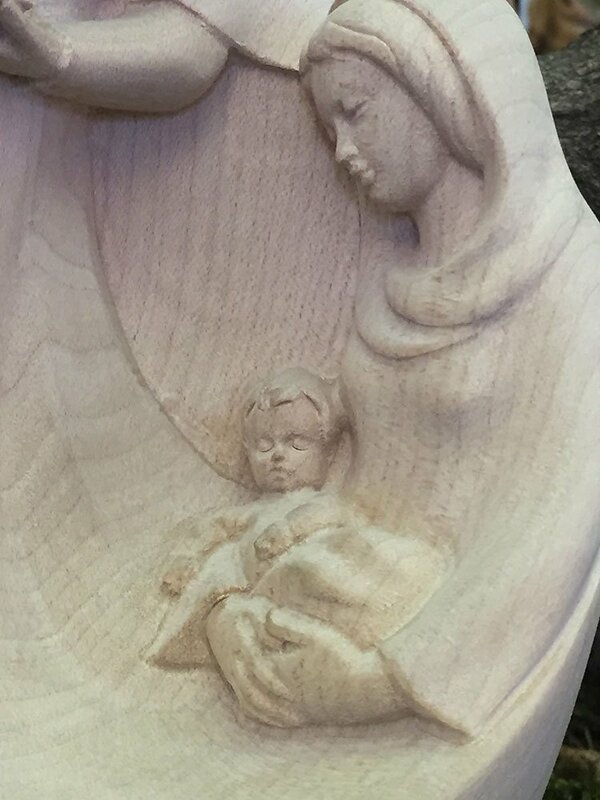 It has very elegant shapes, and lines and it has a great success even in the smallest dimensions due to the attention for details. 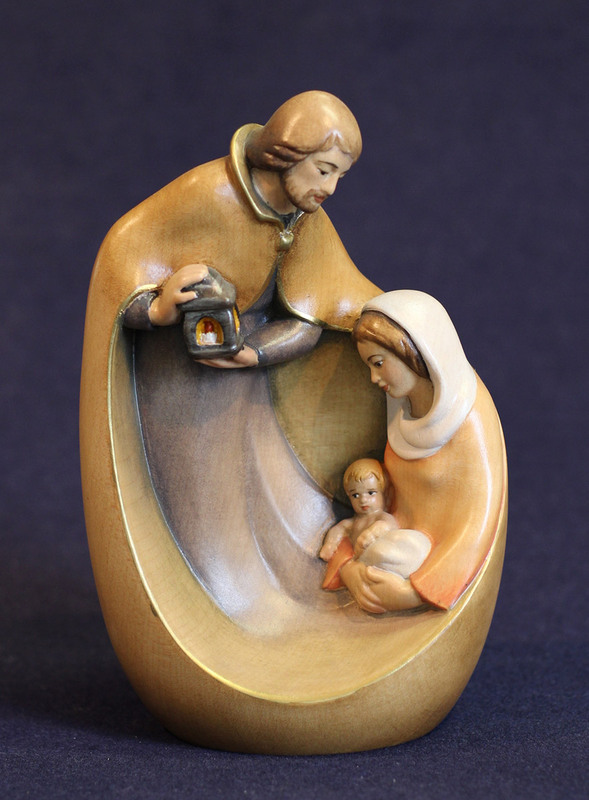 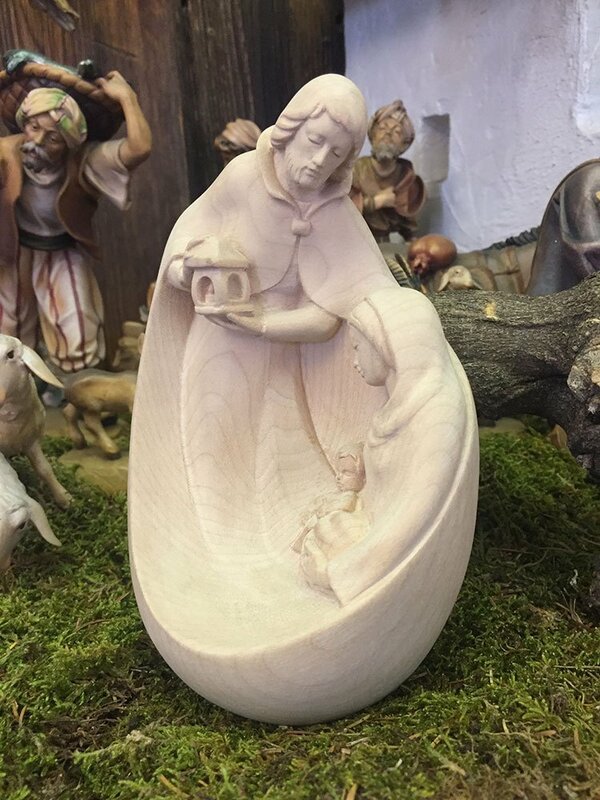 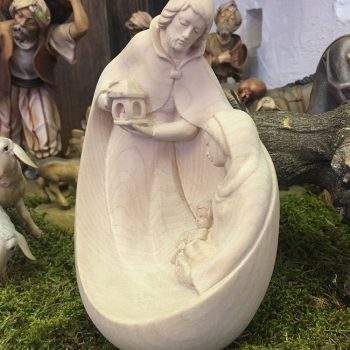 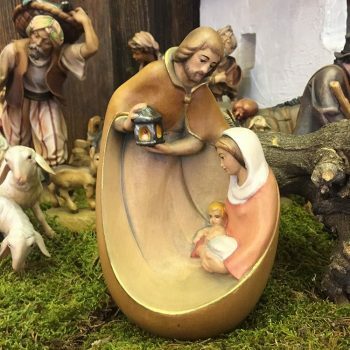 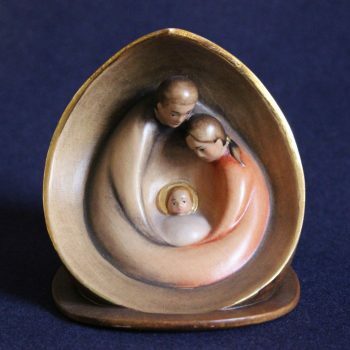 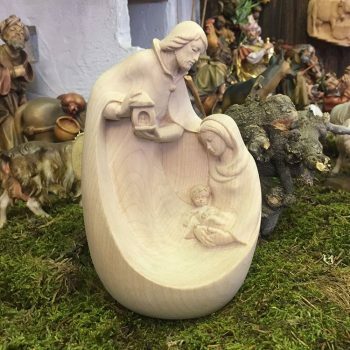 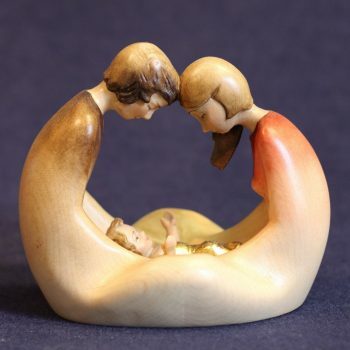 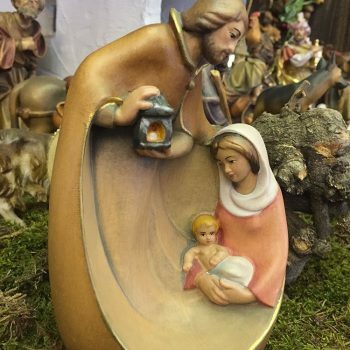 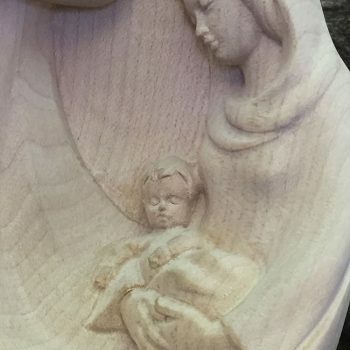 The modern nativity scene is made of maple wood up to 21 cm size. 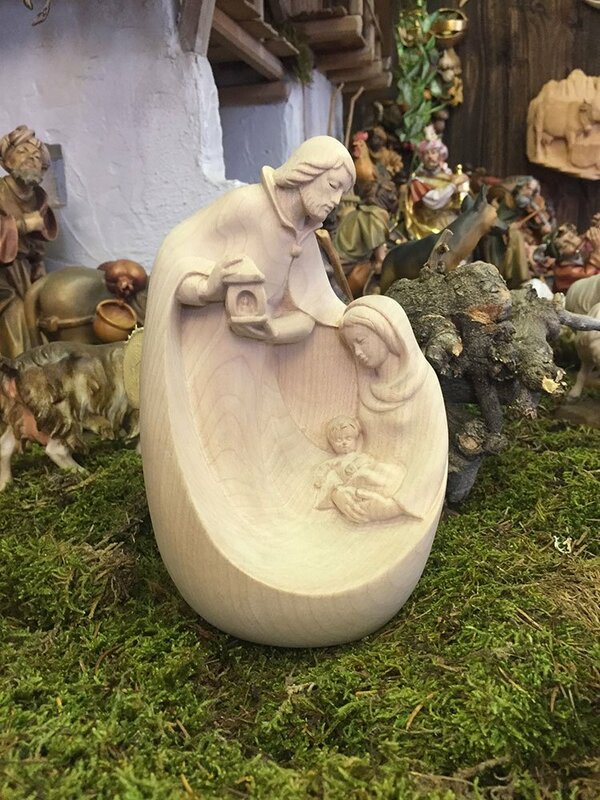 The 37 cm size is made of tilia.